Open House. OPEN HOUSE: Sunday June 24th From 1-3 PM ! Please visit our Open House at 841 ASCENSION BA in Rural Rocky View County. OPEN HOUSE: Sunday June 24th From 1-3 PM ! Downsize Your Cares - Not Your Dreams! 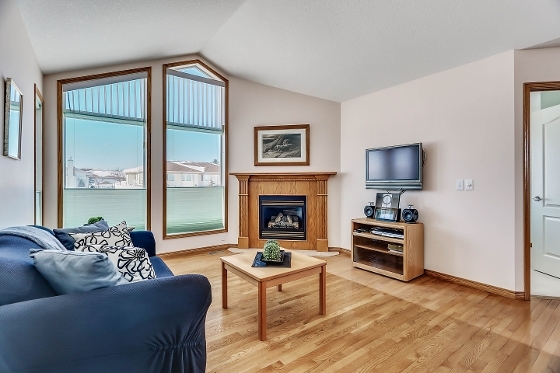 One Owner Villa-Style Bungalow backing on a green space in the heart of Prince of Peace Village - a Christian Inspired Seniors’ Community in a quiet pastoral setting just 4 minutes drive from Calgary’s Shopping & Amenities! Let the Sun Shine In - STUNNING Vaulted Ceilings & Windows GALORE - Large Bright Kitchen with TWO Pantries, Open Concept Formal Dining Area for Festive Family Dinners, & Large Rear Great Room with Cozy Fireplace, Soaring Ceilings & Huge Windows to capture the VIEWS. HARDWOOD Floors, Central A/C, Generous Master Bedroom with Ensuite Bath, Picture Perfect Guest Bedroom, 2nd Bathroom with Jetted Soaker Tub & Convenient Main Floor Laundry too. Lower Level has EXTRA-Large Windows, rough-in for future bathroom & storage for all your Treasures. 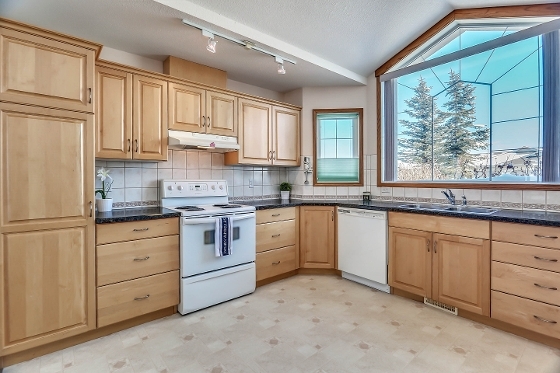 There’s a private patio with gas BBQ hook-up & an Attached Garage with Rear Workshop Area. QUIET Cul de Sac location 1 block from the Community Centre with planned activities, fitness area, lounge/craft room, woodshop, Hair Salon, walking paths & more! Age restricted (1 spouse must be 55+), Pet Friendly (1 dog & 2 cats ok with board approval) & condo fees include repairs/replacement of Furnace & Hot Water Tank too! Open House Sunday June 24th from 1-3 pm !